Last time, I wrote about ways to Jumpstart Your Creative Flow, offering a few techniques I use to help engage my imagination and creative process. 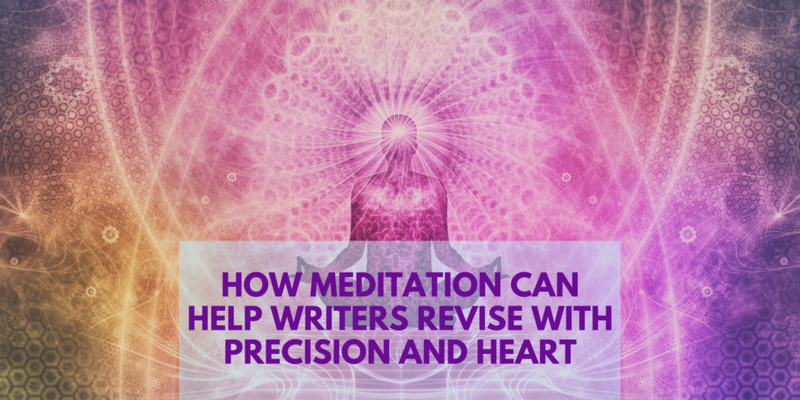 This time, I want to look at how meditation can help writers revise with precision and heart. Every winter, I direct a week-long Deep Revision Retreat for serious writers, at Interlochen Center for the Arts. And every year, I’m struck by how many writers also identify as meditators or maintain some kind of regular mindfulness practice. 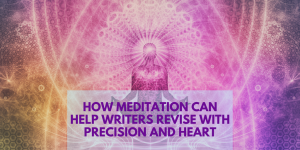 The connection can be seen even within our own Shambhala community with writers Susan Piver, Miriam Hall, and Natalie Goldberg all pairing the act of meditation with writing. When I teach revision, I teach about writing as a physical act. If we want our stories and memoirs to speak to the universal, at some point we’ve got to be able to look outside the bounds of our own experience and research, even beyond the current limits of our imaginations, and start thinking outside the box. One way to make that happen is to get up out of the chair. Go on a walk, a run, a bike ride. Pace the room. Talk to ourselves (Yes, of course writers talk to themselves! We must! ), sing to ourselves; you name it. Physically, we can move our bodies and change up the space and views we’ve been familiar with for our early drafts, working with new movement and new spaces to jumpstart revision. 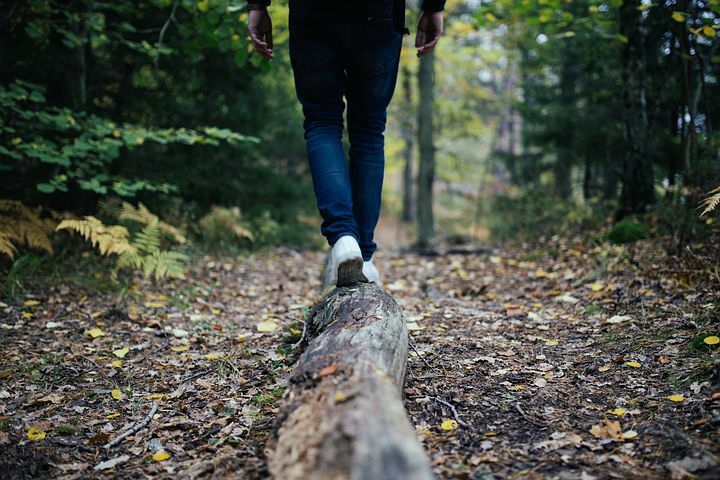 But metaphorically speaking, we can also work with the internal landscapes of our own minds. Here’s where meditation comes in, along with a topic I teach in depth in my online classes–mindful flow. 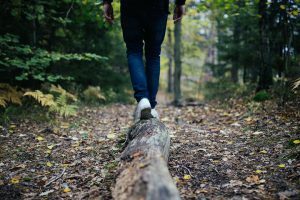 Mindfulness techniques are helpful to writers because, before words, the landscape of the mind is actually where composition begins. Something starts–a jolt through the body, an image in the mind’s eye, a sense memory triggered–and that initial impulse gradually takes hold, inviting us to start translating whatever we’re feeling into narrative on the page. 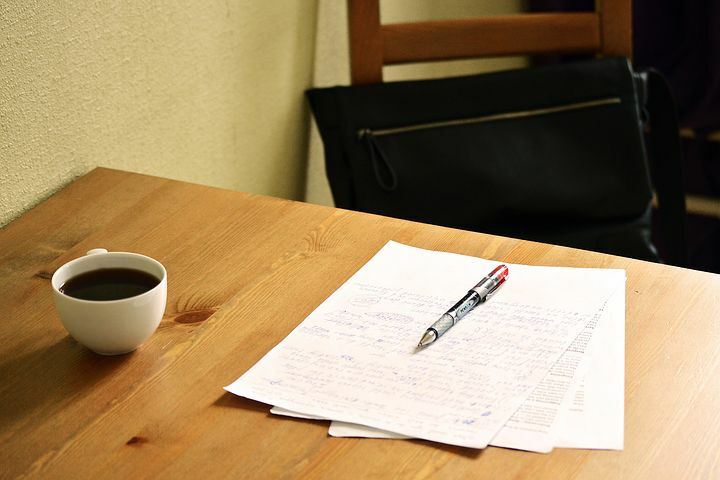 Sometimes it comes out quite literally–perhaps as free writing, or journaling, or even talking into a dictaphone. Other times, it comes out in imaginative fiction that seems eons apart from anything we’ve personally experienced. But in either case, it begins in the mind; or the heart-mind, perhaps, which again brings me back to meditation. While I’m rarely thinking about what I’m going to do about “that problem in chapter eight” during my meditation sessions, it’s not a stretch to say that the skills I’ve developed to focus on the breath (touching in with my body and mind through the space of my cells, my lungs, my movement, the room, society, the continent, the globe…) are the same skills that come in handy when I’m trying to revise. That’s because revision is about looking closely, about choosing the exact right word for the necessary emotional beat. It’s about that space in between the in breath and the out breath–in fact, one might even say it’s about the space between the sentences we’ve drafted so far. Katey Schultz‘s story collection, Flashes of War, was awarded IndieFab Book of the Year from Foreword Reviews and received a Gold Medal from the Military Writers Society of America. She has won more than half a dozen flash fiction contests, been awarded writing fellowships in 8 states, and is currently working on a novel. Ten years ago, Katey founded Maximum Impact, a mentoring service that provides transformative online curricula for the creative writing process, helping writers articulate precise language and authentic meaning in their work. Explore her resource guides, ecourses, and writing at www.kateyschultz.com.